Austin joined Neddenriep Financial earlier this year and is eager to help attain growth within the family business. As a 6th generation Neddenriep from the Carson Valley, he loves this area and is extremely motivated to build ties and foster relationships within the community. Austin was a local graduate of Douglas High and went on to earn his Bachelor of Science degree in Economics from the University of Oregon in 2016. After pursuing his degree, Austin gained experience working as a Finance Associate for a start-up, Intarcia Therapeutics, in the bay area. Looking to get back to his hometown roots, Austin returned to northern Nevada where he worked at Whittier Trust as an Investment Associate, supporting Chartered Financial Analysts and Portfolio Managers. His work there prepared him for his eventual transition into Financial Planning. Austin joined the firm in 2018. He currently holds his FINRA 7,63 and 65 registrations through LPL Financial; and will soon begin earning accreditation as Certified Financial Planner. His current focus is engaging with local community members and businesses to determine how he can better serve the residents of the valley. 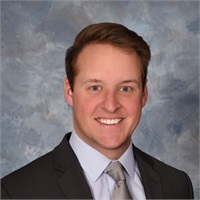 This position with Neddenriep Financial allows Austin to offer his knowledge in financial planning, and deliver an individualized plan to each of his clients directly. While he’s not at work, Austin enjoys participating in intramural sports, hunting with his dog, Lincoln, and enjoying the valley’s active culture with his girlfriend, Karyn.